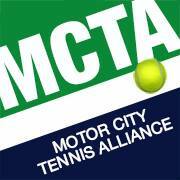 The Motor City Tennis Alliance was formed in 1996 and is a tennis league for gay, lesbian, transgender and gay-friendly tennis enthusiasts in the Detroit area. The organization was founded by a group of gay/lesbian tennis players who wanted to play together. The original group consisted of seven players; Dan Cole, one of the original members is still active and has served as the group’s president for several years. Over the years, the group has grown to approximately 100 active members, as well as hundreds more who have been involved at some point during the group’s history. The organization offers several activities including social events, singles ladder, doubles leagues, team tennis and a variety of different drills aimed at helping players improve skills and have fun. Motor City Tennis Alliance also sponsors a tournament each year, the Motor City Tennis Classic, an event that is part of the Gay and Lesbian Tennis Alliance (GLTA) World Tour. This year’s tournament takes place Aug. 16-18, and will be the 11th year. The tournament draws approximately 120 players, many coming from outside the state of Michigan to participate. “We regularly get players from around the USA, Canada, and Europe. We even have had players travel from Australia,” said Ross. The organization also focuses on giving back to the local community, using tournaments to help raise awareness and generate funds for local charities. For the past several years, the group has supported Gilda’s Club Metro Detroit, an organization that serves to provide social and emotional support for anyone living with cancer (adults and children), and their families and friends in a nonresidential, home-like setting. The organization is a local chapter of Gilda’s Club, named in honor of actress Gilda Radner who died of cancer. According to Ross, in addition to sponsoring tournaments, the group is hoping to get more of its members playing USTA leagues. “Recently we have made a push to get our players involved in USTA leagues and represent our organization – and our numbers are growing,” he said. Cole, Ross and Mike Myers all work together to run the Motor City Tennis Alliance. You can learn more about the organization on its Facebook page at: https://www.facebook.com/pages/Motor-City-Tennis-Alliance/152359788161574. 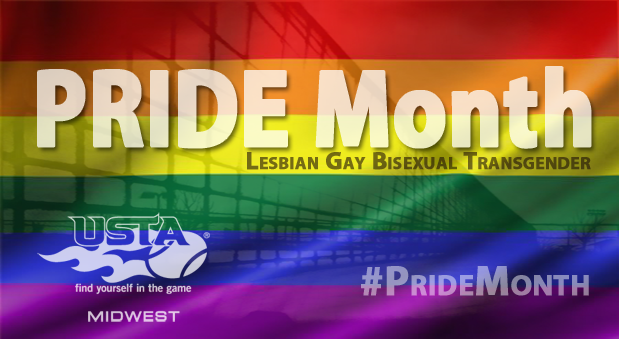 June is PRIDE Month, and the USTA/Midwest Section is recognizing those who strive to make a difference in the LGBT community on and off the court by highlighting local organizations, players, volunteers and coaches throughout the month. Click Here to learn more about those that have helped serve the USTA/Midwest Section mission and move the game into the future for the LGBT community.